Hello friend, you know the meaning of compensation for loss of income? Basket, the drivers were unable to accept any trips from 8.00pm till almost 12.00am last night! 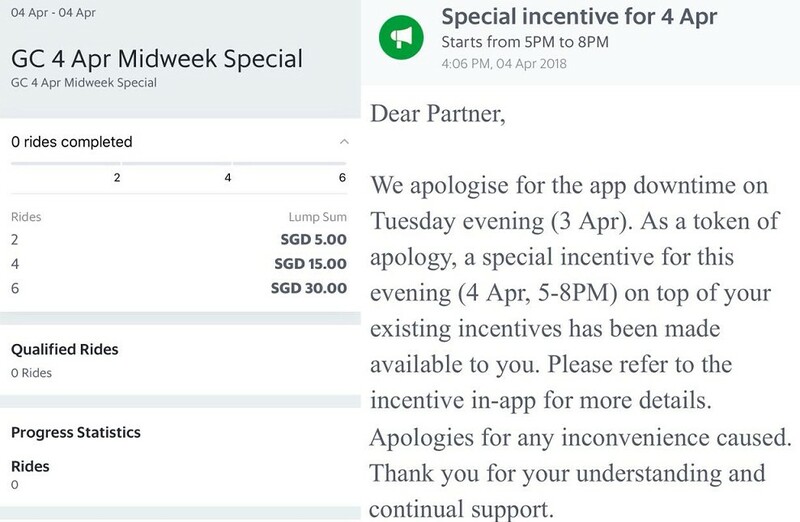 For that 4 hours, they would have made around or more than $100++ and you offer your apology along with a pathetic “compensation” in the form of a 6 trip / $30.00 incentive? Seriously, how screwed up can you be?